The fantastic thing is that there were many family members on Brad’s side that I only met on our wedding day. When Josh and his family arrived I started to say the clique, “Great to see you again!”, but instead he beat me to it with, “Nice to meet you again.” That’s really true isn’t it? We met half our lifetime ago, and only briefly. This is meeting each other again. 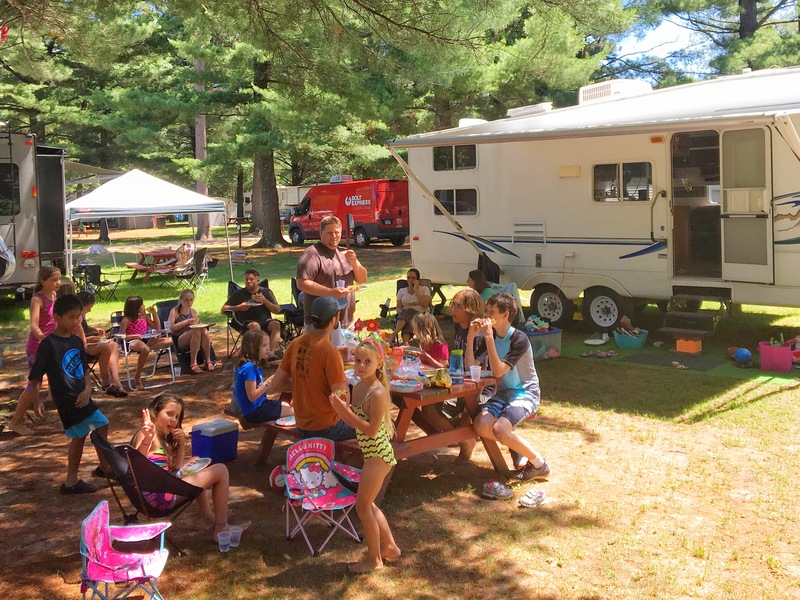 We spent about 4 days all together, our 3 families with a total of 11 children between us. Plus Jen’s brother runs a fireworks stand each July, so his 4 kids were also thrown into our mix. The majority of our shenanigans were hosted by Jen’s parents at her childhood home. If that sounds a bit confusing, it’s only because it was. 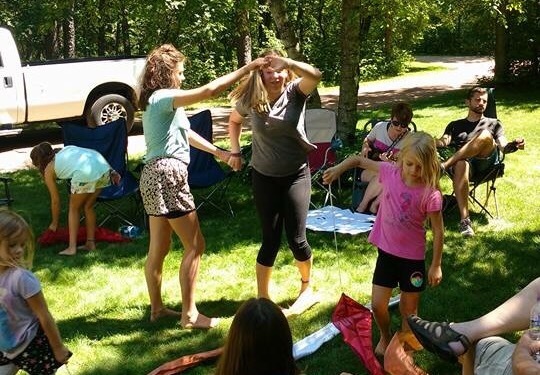 We had church in the front yard complete with ukulele, ribbon flags, and swing dancing. 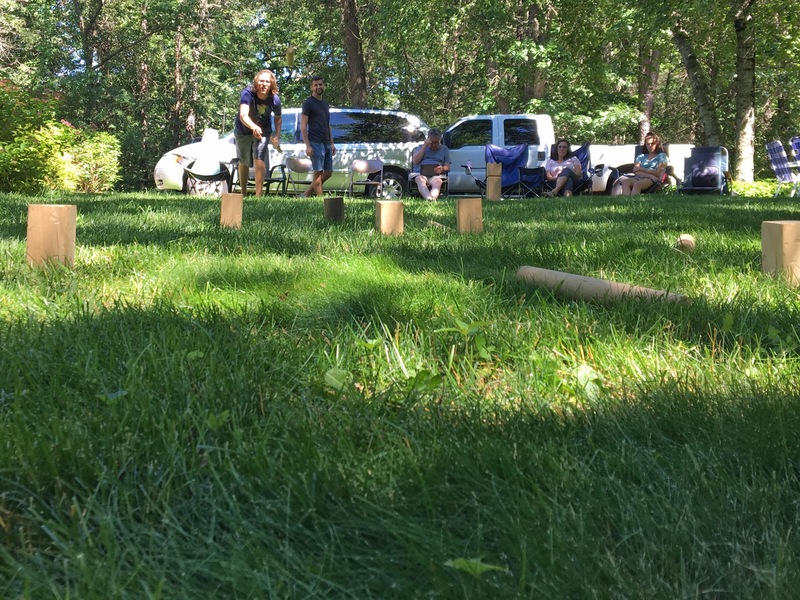 Jeremy’s family introduced us to this Swedish lawn game, Kubb, where you throw sticks at other sticks. It sounds silly but we had a lot of fun. (It did take a dark turn when Jen informed us that it’s based on an ancient game the Scandinavians made of throwing femurs at skulls. 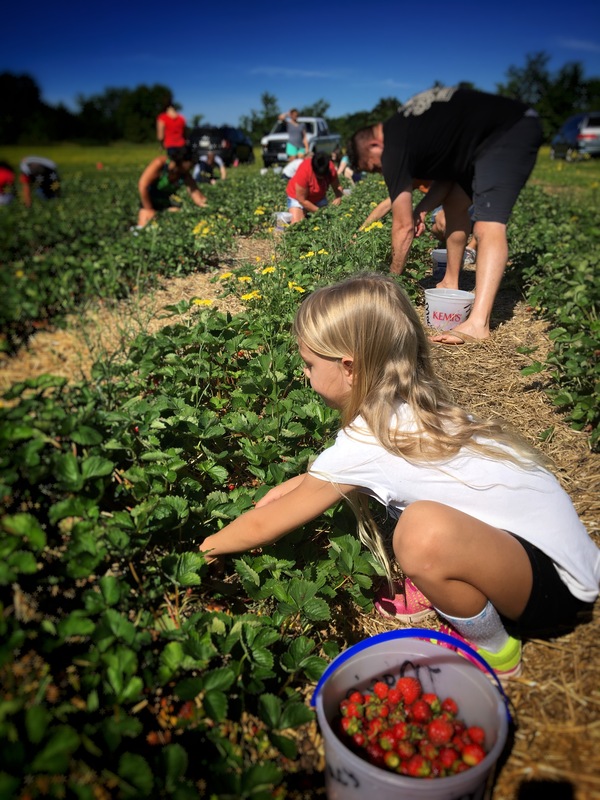 Taking in a haul at the strawberry patch. 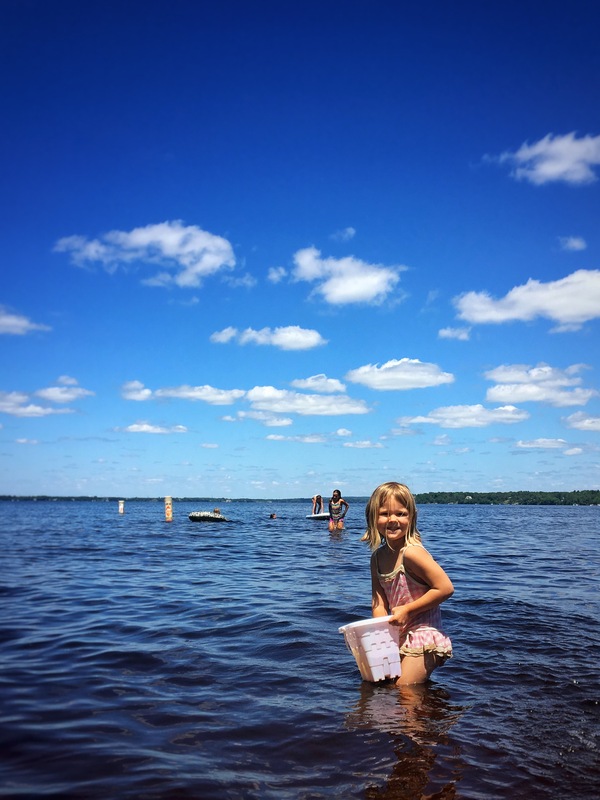 Playing with cousins in Lake Wissota. 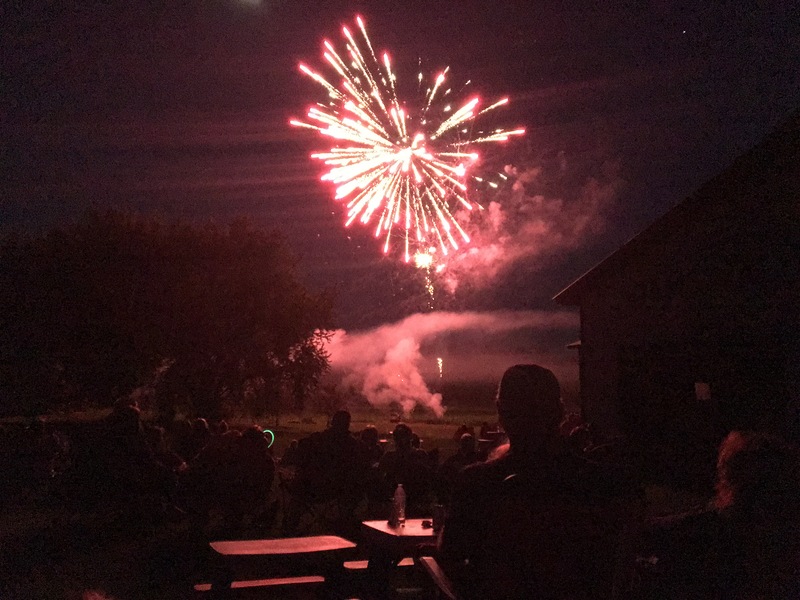 A highlight of the visit was getting invited to be part of Jen’s dad’s +24 to attend his friend’s 4th of July Party at the family farm. Our connection to the event was through Jen’s dad’s friend Jerome, one of the 8 brothers who grew up on this farm and host this annual party. So armed with this stranger’s name as a password, we caravanned in our truck and 3 packed minivans into the farming hills of Wisconsin for the evening. As Jeremy put it, it was a wonderful slice of Americana. 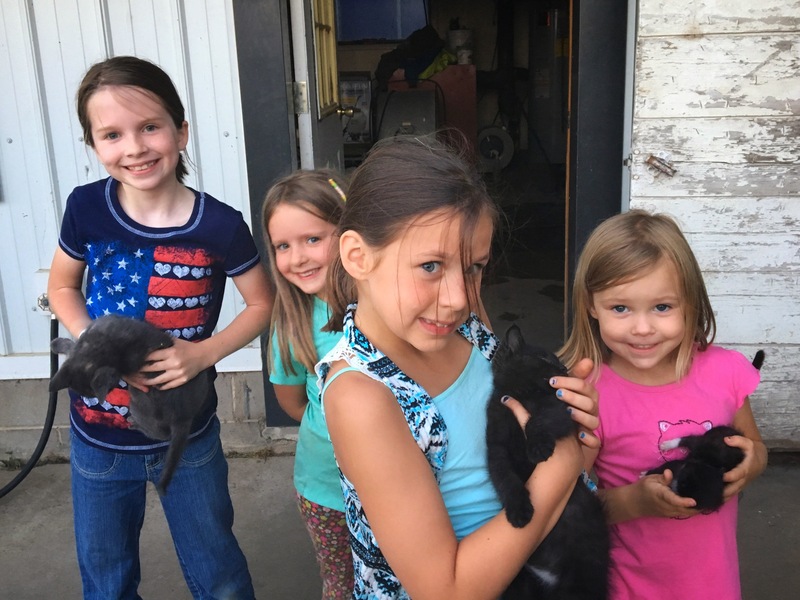 There were hayrides through a corn field, sack and wheelbarrow races, and an old dairy barn full of new kittens. We enjoyed a downright Wisconsin feast – including the important local staples of sauer kraut with dumplings, cheesy hash browns, and Leinenkugels beer from the local brewery. 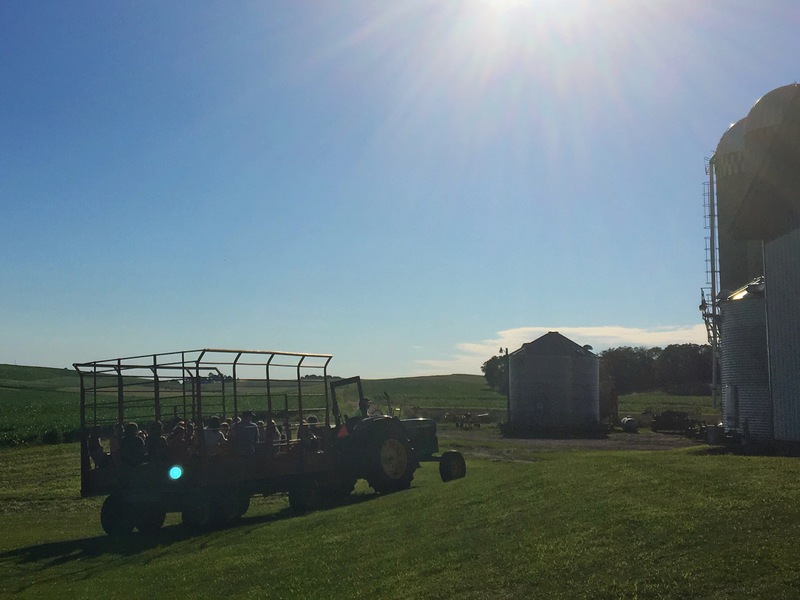 Hayrides at the old dairy farm. 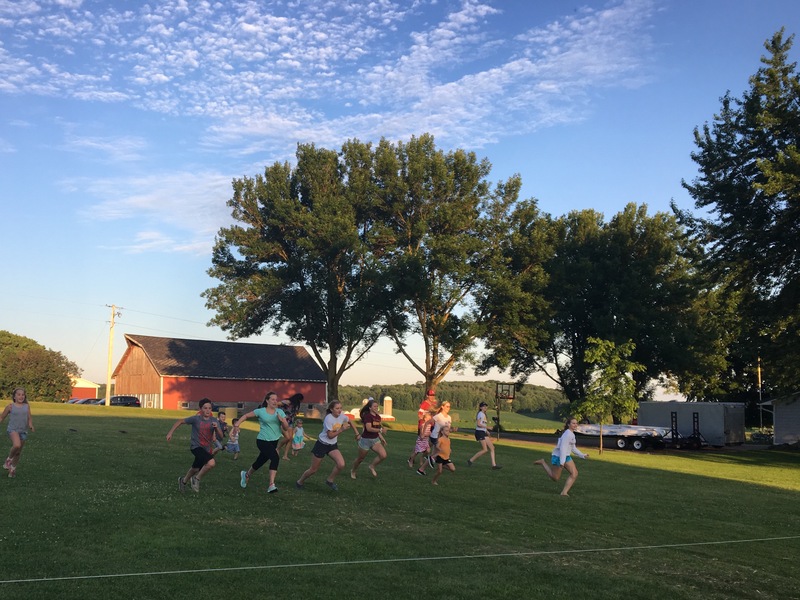 Sack races, 3 legged races, wheelbarrow races….so much fun. 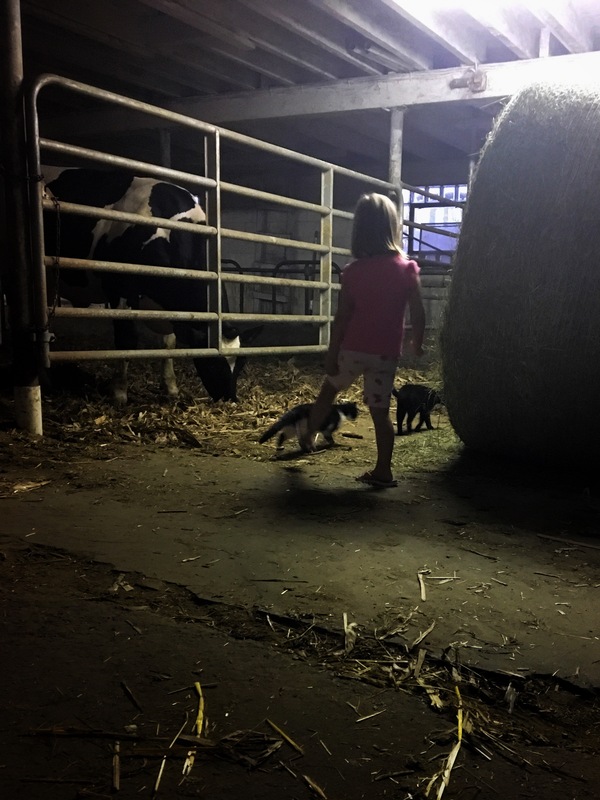 Chasing kittens in the old diary barn. I stood in here for a long time swapping “growing up on a farm” stories with Jerome. He told me about milking cows, and I described to him the process of moving turkeys. We both climbed silos. About 200 people, all loosely connected by the band of 8 brothers hosting this shindig, were spread out across a large field on blankets and lawn chairs, mostly segregated into large family units, eating and drinking, laughing and playing volleyball as we waited for the skies to darken. And then the hosts set off an epic fireworks display that left me dazzled, but surprised that such large explosives were legal for personal use. It was lovely and fun, nostalgic and delicious. 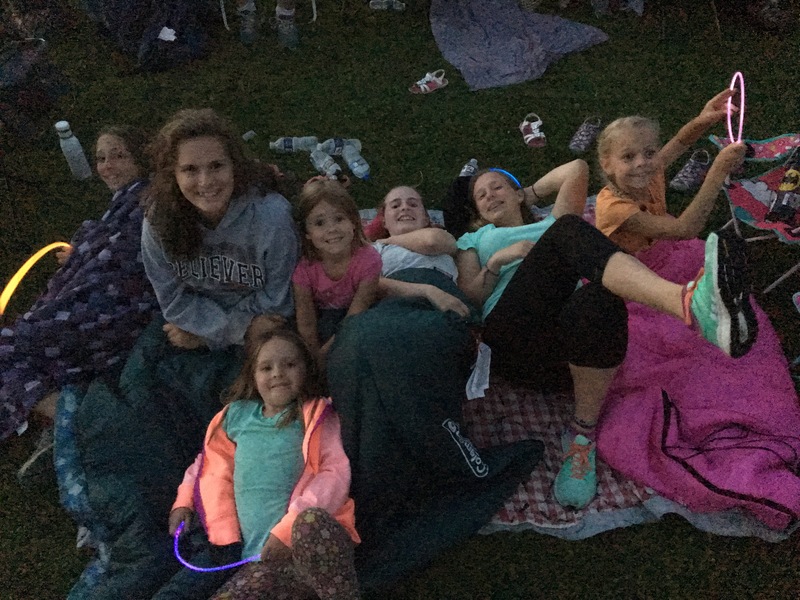 Cousins excited for a fireworks show! 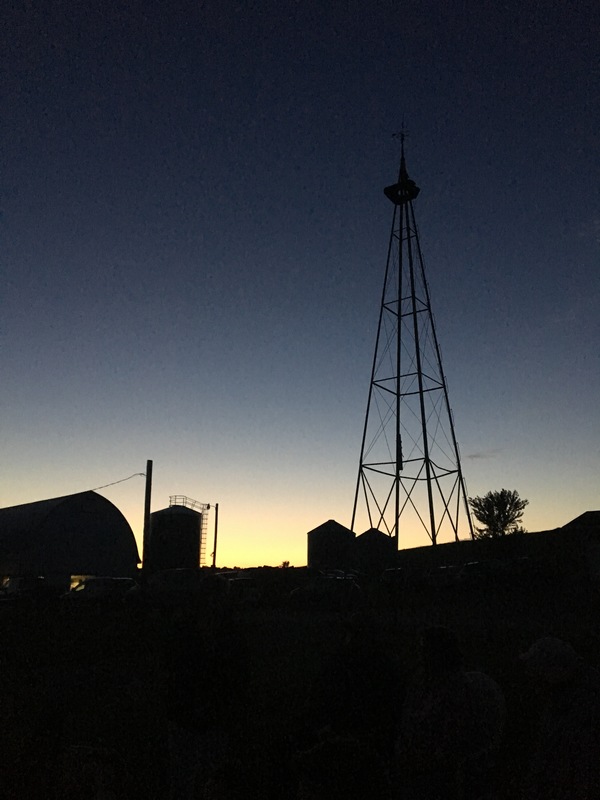 Adams Valley View Farms at dusk. In those 4 days it felt like we packed about a month’s worth of family time in. The conversations were refreshing, the laughs were deep, and the reconnections breathed new life into relationships too long ignored. Our kids played together for hours, sometimes late into the night when the adults just couldn’t stop the conversation, until children just fell asleep where ever they were. 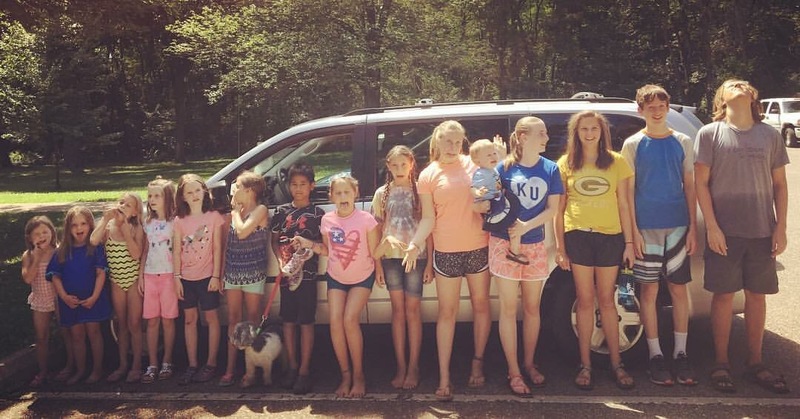 It’s a sad fact that our girls didn’t really even know these cousins existed before this trip, but a true joy that now they are some of their favorite friends. We dared the clock to get later and later with each evening of fun, and by our final morning together everyone was rising late and groggy, exhausted but unwilling to miss a moment of our brief time together. Translation: We are so lucky that no one died. And we are pretty confident that no one did, but getting a head count on 15 kids is pretty tricky, so no promises. We chose our next destination only a couple of hours north so that we wouldn’t have a long traveling after all of this wonderful, exhausting fun. 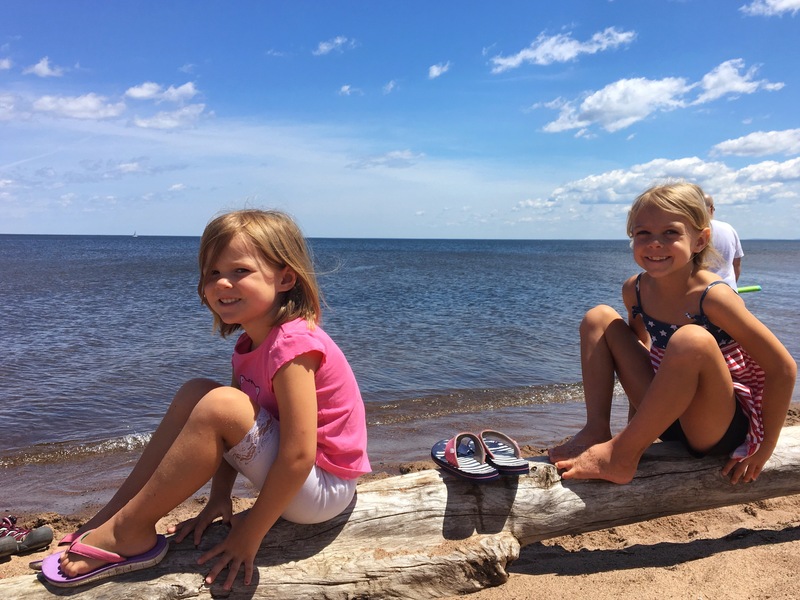 At a campsite just outside of Superior, Wisconsin, across the waters of Lake Superior from Duluth, Minnesota, we spent a few days catching up on all the things as a family – we slept, we worked, we got groceries – it took us a few days to reset and get back to what is now our “normal life”. 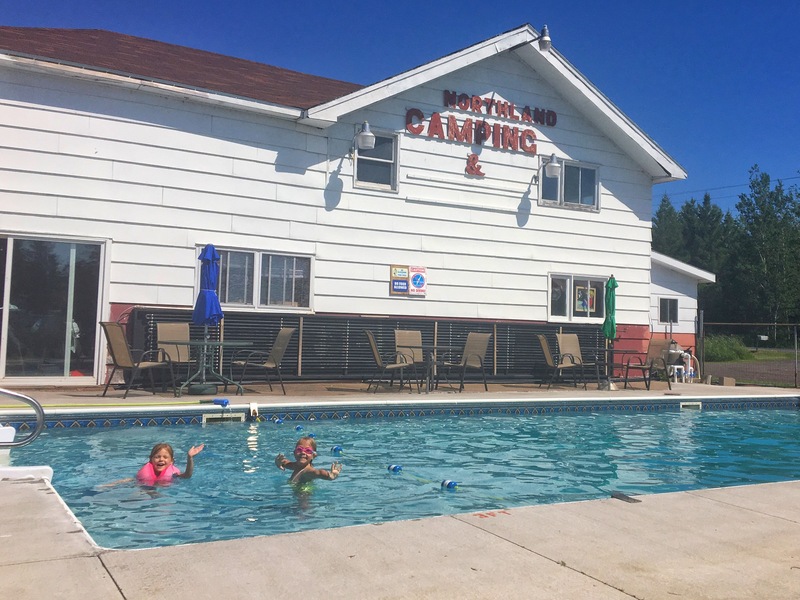 The campground had a pool and the girls loved swimming all hours of every day. I had several chances to sit beside the pool and read, as well as pet the 3 month old shiatsu named Martini in the office. It was a great chance to relax and rest up after the busy, fantastic time with family. 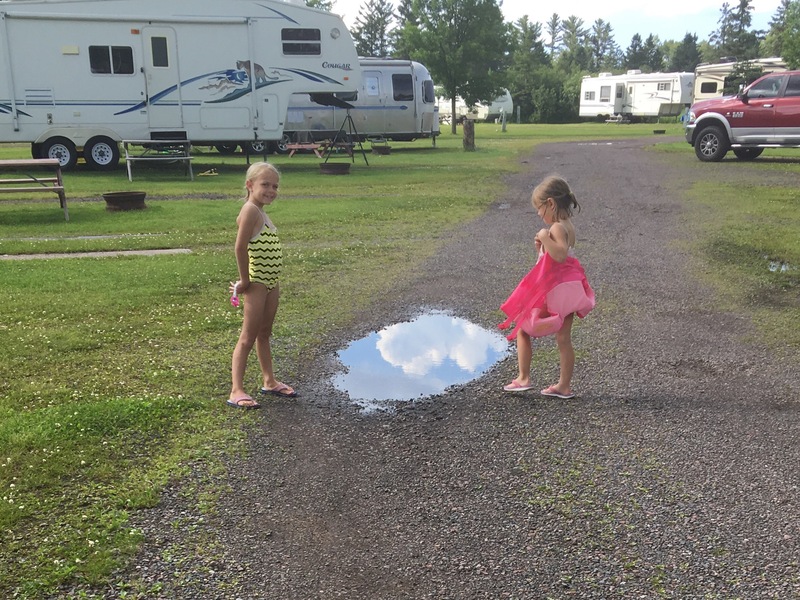 We were excited to find this portal for jumping into the sky. Having a blast in the pool with Dad. As we have travelled across this country for all of these months, we have focused our time and attention on 2 very different things: destinations and people. The destinations have been amazing. We’ve seen tourist attractions, historical sites, breathtaking vistas, and landscapes within our nation that we’d never seen before. We’ve learned about US history, geography, and culture. But the experience of visiting so many people has affected me in some unexpected ways. We’ve had the great joy of spending quality time with many close friends, like the Moore’s in Missouri or the Edwards in Oklahoma. We’ve also visited friends that we hadn’t spoken to in years like the Elliotts in Abilene or the Reeds in Alabama. We stayed with siblings in Orlando, D.C., and Chicago to see how they live and work in their communities. We enjoyed an extended 3 month stint with my parents, soaking up the grandparent time that is feast or famine when you live thousands of miles apart. And we’ve been reintroduced to long lost cousins – people who share our grandparents, our childhood stories, and many of our goals for the future even though we haven’t seen each other for almost 15 years. These connections feel powerful. This year I’ve had a glimpse of the vastness of this nation and felt some of the cultural divides that separate us. I’ve interacted with people on both ends of the socioeconomic spectrum, and felt the deep loneliness of a world view that is shifting to encompass my countrymen that are much more different than me than previously realized. But in contrast I have also felt the deep joy of sitting with people at 1:00am and hearing the chorus of “me too”, “me too”. Our family will never forget visiting Bryce Canyon or the Lincoln Memorial, New York City or Death Valley. But we may perhaps be even more affected by the slumber parties with cousins in North Carolina, West Virginia, and Wisconsin, the board games with the Waldroop’s in Oklahoma, or holding baby Andrew in Texas. Walking among the giant redwoods in Northern California is magical, but maybe what will matter more in the long run will be the campfire with Jeremy and Josh until almost 3am, the traveling tea party with Mimi and Aunt Cheryl, or all the hugs and kisses from our 101 year old Ma. These connections of friendship, family ties, and love are really what sustains us. The support and the love we receive from these people is what has made us who we are. So these simple moments of sharing a washing machine or a recipe, a holiday tradition, a conversation, a toy, or a taco dinner – these moments are maybe what has been the most profound. sigh. so beautiful. heaven as it is in earth.